Maureen Beyers practices complex commercial litigation and arbitration. 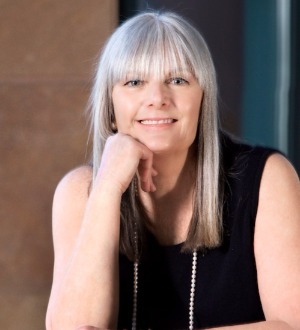 Licensed in Arizona since 1996 and New York since 1988, Maureen practices in state and federal court representing clients in wide assortment of contract and business tort disputes across many industries. Litigation Practice: From technology to franchise and everything in between, Maureen is known for her effective and efficient approach to complex litigation. For the last several years, Maureen has been recognized for her skills in both commercial litigation and securities litigation. Those skills have also earned Maureen a reputation as one of Arizona’s go-to litigators in “business divorce” cases and director and officer liability disputes. Maureen’s experience in the financial services and banking industry has given her a unique skills in internal investigations, securities litigation, regulatory investigations, enforcement proceedings, and criminal investigations conducted by federal and state authorities, including the Department of Justice, the SEC, the FDIC, the Public Company Accounting Oversight Board and the Securities Division of the Arizona Corporation Commission. ADR Practice: When she is not representing clients, Maureen regularly serves as a neutral in ADR settings. Maureen is a member of several ADR facilitation organizations including many of the American Arbitration Association's specialized panels, such as its Large and Complex Case Panel. Maureen has also qualified to conduct international arbitrations as a Chartered Arbitrator with the Chartered Institute of Arbitrators. She is also on the roster of National Arbitration and Mediation. Nationally recognized as a top arbitrator, since 1995 Maureen has served as an arbitrator and chairperson in hundreds of arbitrations throughout the United States, involving a variety of business disputes, many of which presented complex commercial issues. Maureen’s service as mediator will include her creative business solutions as part of any attempted resolution. Before moving to Arizona in 1995, Maureen was an associate at the New York office of Morgan, Lewis & Bockius. Maureen was a partner at Osborn Maledon, P.A. in Phoenix before starting her own firm with Mike Farrell in 2017.